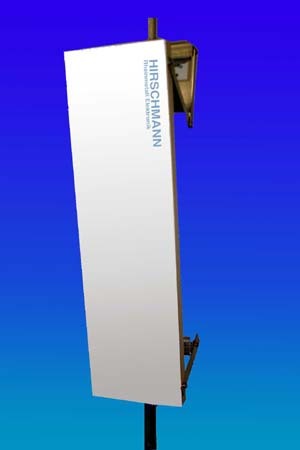 HirschmannBase Station Antenna is a product that provides for operation in both the 900 MHz and 2.4 GHz ISM bands. The antenna is suitable for use in full duplex hybrid data communications systems, for inter-LAN connection, and other complex systems. High-power operation is also possible in the 2.3 GHz MDS band. Mechanical down/up tilt is an available option.